Cononley Hall is set in its own large gardens in the unspoilt village of Cononley. The hall was rebuilt in c1750 following a fire. Part of the original building (built in 1683) can still be seen. It is now Grade II Listed. There are plenty of walks of all standards from the village and maps are provided. Walkers and cyclists are welcomed. Golf breaks can be arranged. We have several good courses nearby. We pride ourselves on offering you the best possible service. All of our rooms are non-smoking. Children are welcome, cots and high chairs are available. We also cater for special diets with prior notification. Facilities for children: Cots, high chairs. Children welcome from any age. 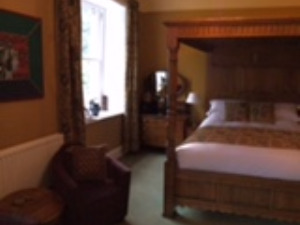 Cononley Hall Bed & Breakfast sometimes limits bookings to 3 or more days. Can also accomodate up to 2 additional single beds to create a family room. Four-Poster sometimes limits bookings to 3 or more days. A629 between Skipton and Keighley. From Keighley follow signs for Skipton, onto dual carriageway, when road becomes single carriage take 1st left to Cononley. Proceed over railway crossing, past New Inn pub, turn left into gravel drive, clearly signposted. Come around to the back of the property and enter through the conservatory. Up main street, into Cononley, past post office on the left, past New Inn pub on the right. Turn into drive on left-hand side, clearly signposted. Delightful hosts made me really feel 'at home'. Spotlessly clean and comfortable accommodation. Really delicious poached eggs from their own hens. 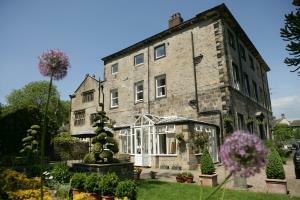 Very handy for Skipton and would make a great base for a longer stay in the Dales.